!! OMG, his peen: Clifford Starks !! 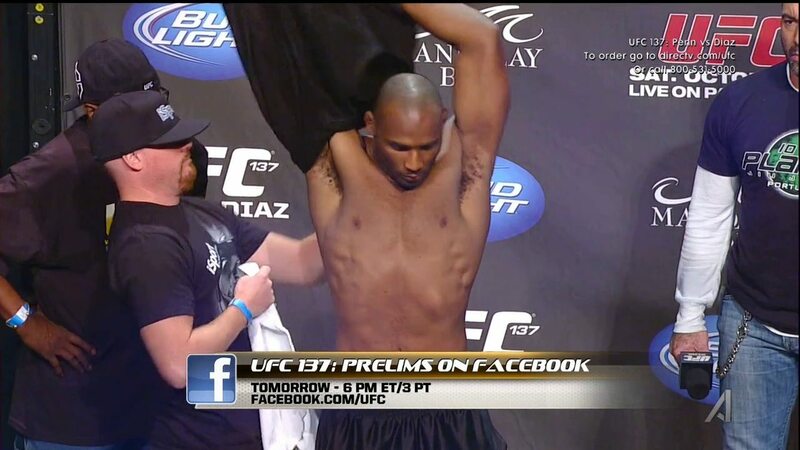 Everyone knows that a weigh-in is an especially fruitful moment for seeing athletes strip down to their, uh, natural states. 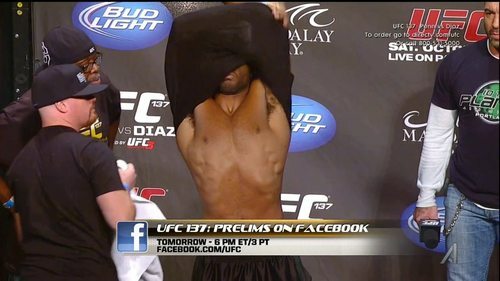 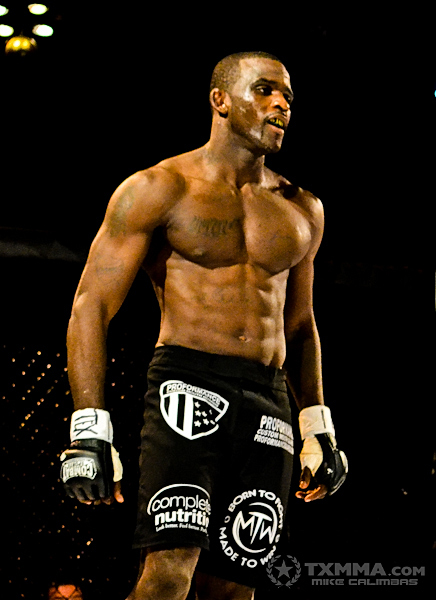 But something tells me UFC fighter Clifford Starks didn’t intended for his peen to go peek-a-boo at a recent weigh-in ceremony. 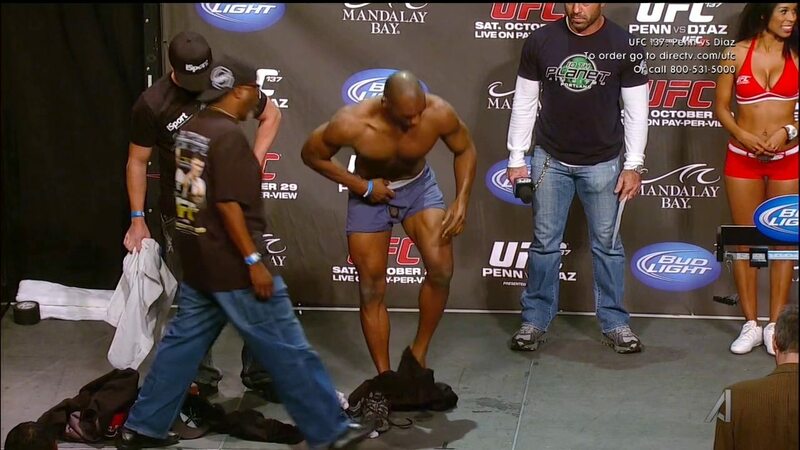 After the jump, see Mr. Starks’ NSFW tip slip. 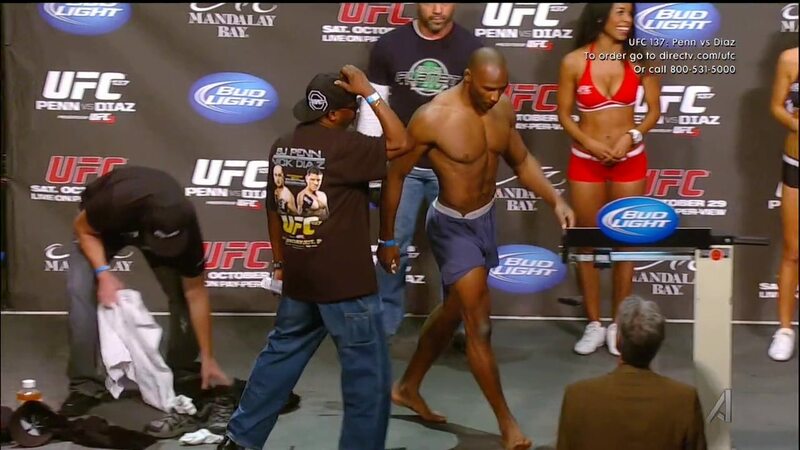 3 Comments on "OMG, his peen: Clifford Starks"
Have seen a lot of weigh-ins, I don’t know how this happens so rarely. I’m SURE Joe Rogan enjoyed the show!